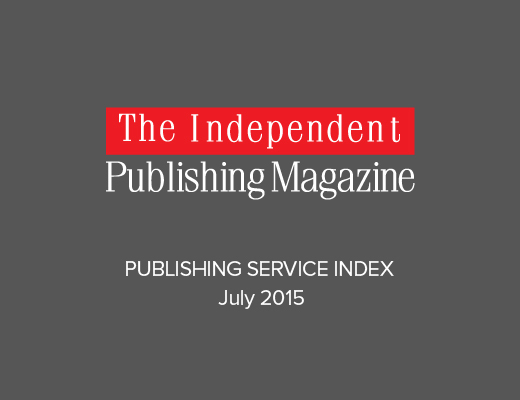 This is the PUBLISHING SERVICE INDEX for July 2015. CreateSpace has replaced IngramSpark at the top spot of the index this month, but only by a whisker. Amazon’s Kindle Direct Publishing (KDP) has lost some significant ground to the top two and some of this is down to negative feedback TIPM has received. Unfortunately much of this feedback is greatly misplaced and surrounds the recent changes Amazon has made to how it pays authors with books enrolled in its borrowing programs (KU and KOL). It also hasn’t been helped by numerous news stories carrying inaccurate or deliberately slanted information. I’ve seen many news articles claim or intimate that the payment changes affect all authors with books loaded to the Kindle platform. David Gaughran has an excellent post clarifying matters over on his Let’s Get Digital blog called The Great Amazon Hysteria. It’s well worth a read if you are unsure about the recent Amazon payment changes. There are no other changes in the remaining top ten positions. Draft2Digital continues its slow but steady climb up the index. Mick, On behalf of all writers, especially self-publishing ones, thank you for putting this index together. It’s a tremendously helpful resource.